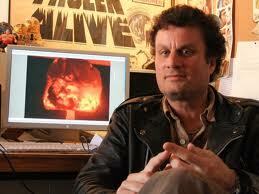 There are many different ways to gauge the success of a documentary. We’ve seen success in the form of direct action, awareness building, and a film’s use a tool for policy change. For the most part, the success of a documentary is measured by how many festivals take it, how many screenings it has, where it has its premiere, how many jury and audience awards it receives, and how and where it is distributed. In the case of Adam Horowitz’s recent film, which Kindle Project helped to fund, the scope of success reaches much further. Though Adam is proud and excited about the accolades he’s received recently for Nuclear Savage: the Islands of Secret Project 4.1, he explains that his greatest success lies far outside the glamorous festival circuit. 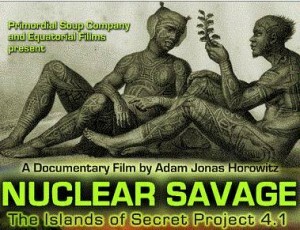 Nuclear Savage is a heartbreaking and intimate ethnographic portrait of Pacific Islanders struggling for dignity and survival after of decades of intentional radiation poisoning at the hands of the American government. Relying on recently declassified U.S. government documents and devastating survivor testimony, this true, untold detective story reveals how U.S. scientists turned a Pacific paradise into a radioactive hell, using Marshall Islanders as human guinea pigs for three decades in order to study the effects of nuclear fallout on human beings. Nuclear Savage is a shocking tale that pierces the heart of our democratic principles. (Source: http://www.nuclearsavage.com). Heartbreaking is the most poignant word that could be used to describe this film, and in my conversations with Adam this word has been uttered more than once. I’ve often wondered how he has the stamina for this subject matter; the stamina to expose himself to worst kinds of atrocities that humans inflict on one another. 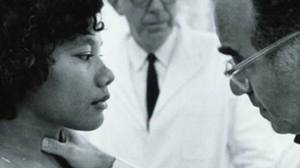 The people of the Marshall Islands have faced similar catastrophic fates as the victims who underwent Nazi medical tests during WWII. Adam was there to tell the world about it. These days, his perseverance comes from the success of the film – not just from the attention it’s getting from the international circuit, but from what’s happening in the Islands themselves. When I asked Adam if the film was being screened in the South Pacific, he said: “They’ve been showing it every day on television for months. They showed it at the Pacific Island conference of Presidents – now they’re broadcasting the film in several Pacific Island Nations – showing in the Federated States of Micronesia, (which includes Chuuk, which used to be Truk), and also in Republic of Palau, which has history of anti nuclear peace movement.” For him, this is his greatest success. The film is being copied and bootlegged all over the region, and even being screened on television with the watermark print of it being a preview copy. No matter to Adam, his film was made for the islanders and it is from there that the possibility of political change is most possible. The feeling of hopelessness when watching a film such as Nuclear Savage can be momentarily overwhelming: it’s nearly impossible to understand this degree of atrocity. Seeing the physical manifestations of these medical tests; babies born grossly deformed, cancer-ravaged families and environmental disaster to name a few. The film screened at IDFA this past year and Adam and I shared a cynical laugh about the climate of the films there: IDFA is colloquially known as the most depressing of all doc festivals because there you can see a handful of films on any given day that expose massive atrocities taking place around the globe. This is all the more reason why Adam is focusing his success on the bootlegged versions of his film that are making the rounds on the Islands, and more importantly, that this film is making these rounds at the perfect time. For Adam, this film is just what the islanders needed to convince US officials that what the US is trying to do is reprehensible and criminal. He has not been back to the islands since the release of the film, as the film now acts as its own advocate, and its effects do not rely on his presence. Meanwhile, audiences outside of the islands do need Adam present to help explain why and how truths like these have been allowed to be buried for so long. The truths that Adam’s film exposes are too painful for most of us: not knowing is easier than knowing, and this is what makes getting the film out there a challenge. In my conversation with Adam it was clear that for audiences in North America and Europe that have seen the film there is an increasing interest in awareness building around hidden issues such as these. He also explained that while Canadian and European festivals have taken the most serious interest in the project, it remains a difficulty to get the film screened in the U.S.
Adam is based out of New Mexico, also the home to the Los Alamos National Laboratory, a seemingly natural context for this film to screen. Not the case. Adam explained that, “this state gets a huge part of its income from nuclear business…They could show (the film) for free because PBS funded it. PBS is funded by military industrial contractors, and subcontractors of nuclear labs – they know where their bread and butter comes from.” The film was funded in part by the branch of PBS that focuses its programming on ‘diverse’ content. But, as Adam went on the explain, “it’s not public TV. It’s military industrial television. They aren’t going to piss off their funders by showing this film.” This is part of the complex nature of a project like Adam’s and awareness in the U.S. and abroad will satisfy his hopes for the film. The true success of this film lies in potential of changing the political atmosphere in the Marshall Islands which is possible because the region is so small. We will continue to keep you informed of any updates on the success of Nuclear Savage and how it is affecting change in the lives of the islanders who need that support the most. • April 17, 2012 – Cinema Planeta Film Festival in Cuernavaca, Mexico. Adam will be in attendance at this screening. • April 25, 26, 2012 – FFEM: Montreal Film Festival on the Environment, Montreal, Canada. Adam will be in attendance at these screenings.